Puppuccino Pet Spa is the North Shore’s leading cat grooming, cat daycare and lifestyle emporium based in Mosman and Forestville, providing cat grooming services that exceed the highest industry standards and using the best quality organic products and equipment the international cat grooming industry has to offer. 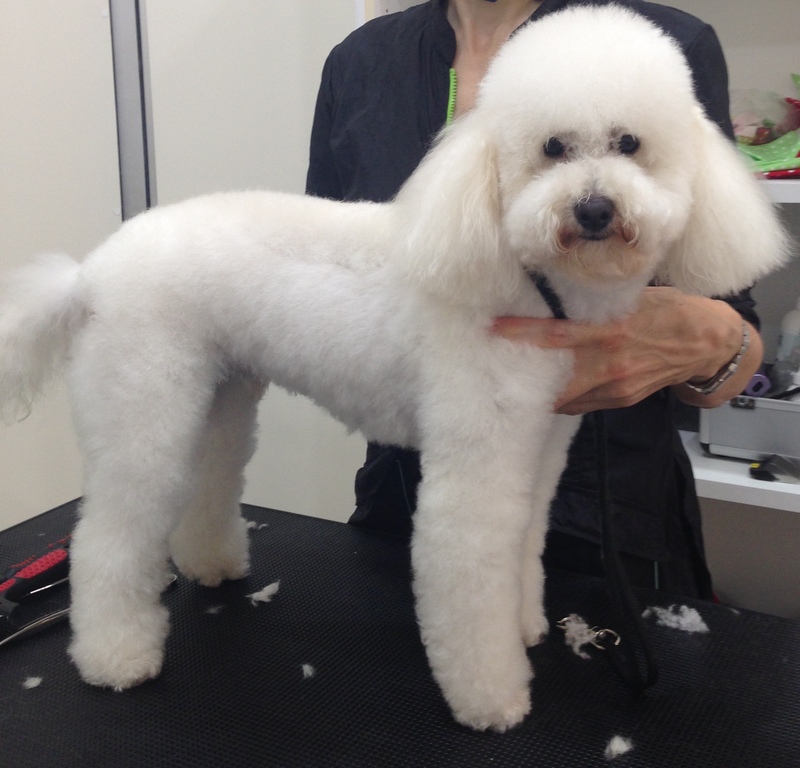 Our new premises is equipped with the latest hydraulic tables and baths; large cat cubbies in the grooming room for those guest who need solo time, nap time, or for those whose parents request they have their own space, providing safety, comfort and freedom to your pet before, during and after their pampering appointment. We offer a range of grooming packages for your short coat, or long coat sized kitty. Whether your cat just needs a quick bath or a complete grooming package that takes pampering your pet to a new level, you will be impressed with our tailored and competitive offerings. Just like humans, each and every cat is unique and has their own special requirements. 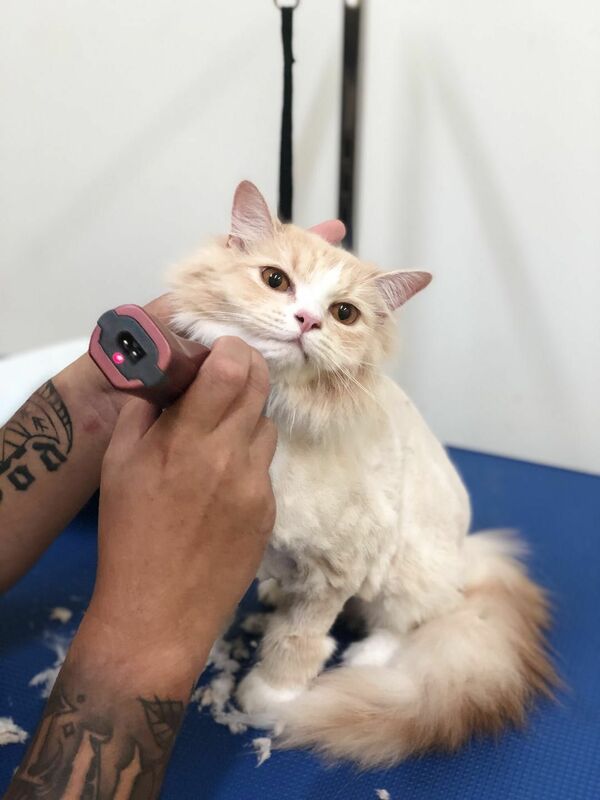 So before we begin any grooming or pampering treatment, your allocated groomer for the day will carry out a complete personalised assessment of your cat’s coat, skin and nail condition. We use fresh warm water for every cat’s bath, treating our guests to a gentle complementary massage before a personal hand blow dry and brush out. We use premium aromatherapy organic shampoo and conditioners that are locally made, sourced from plant based natural ingredients, and are 100% organic, biodegradable, and environmentally friendly. These products are also free from any toxic chemicals, insecticides, parabens or sulphates and are cruelty-free and vegan friendly. 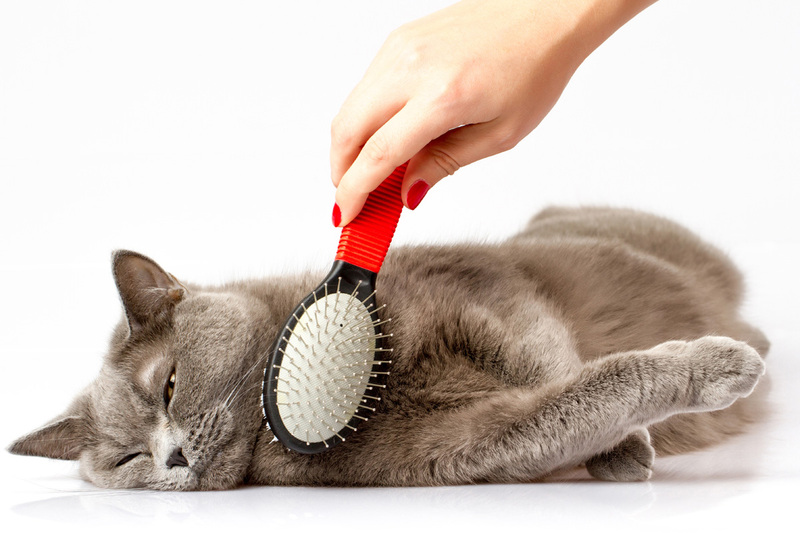 Please note, we always advise clients to perform regular at home coat brushing in between grooming services, particularly for cats whose lifestyles include swimming, regular playtime and exercise, and those who wear harnesses or pet clothing, to help keep coat matting at bay. Cats with matted coats – even minor matting which may be present throughout the body’s coat, require extra time and attention, and therefore will incur an additional fee. We will not cause undue stress to your pet by de-matting excessively matted coats and may advise you to consult your vet due to the risks involved in shaving so close to the skin. Mats can be very difficult to remove and may require your cats to be shaved. Removing a matted coat MAY cause nicks, cuts or abrasions and skin irritations to your cat. After-effects may include itchiness, skin redness and abrasions. Prevention is the best defense by scheduling regular grooming appointments every 3 to 6 weeks (depending on breed) and performing regular brushing at home in between grooms. Because we book on an hourly basis and cancellations can leave an empty block in our schedule that could otherwise been used by another customer, we ask that any salon cancellations be made at least 24 hours in advance.